The Las Vegas Valley will stay humid and hazy for the next few days thanks to monsoon moisture and smoke from wildfires in neighboring states. The Las Vegas Valley will stay humid for the next few days thanks to monsoon moisture. There’s a 25 percent chance for isolated thunderstorms in the valley on Friday and Saturday, dropping to 10 percent Sunday evening, according to the National Weather Service. A layer of smoke has settled over many Western states because of wildfires burning in California and Arizona. 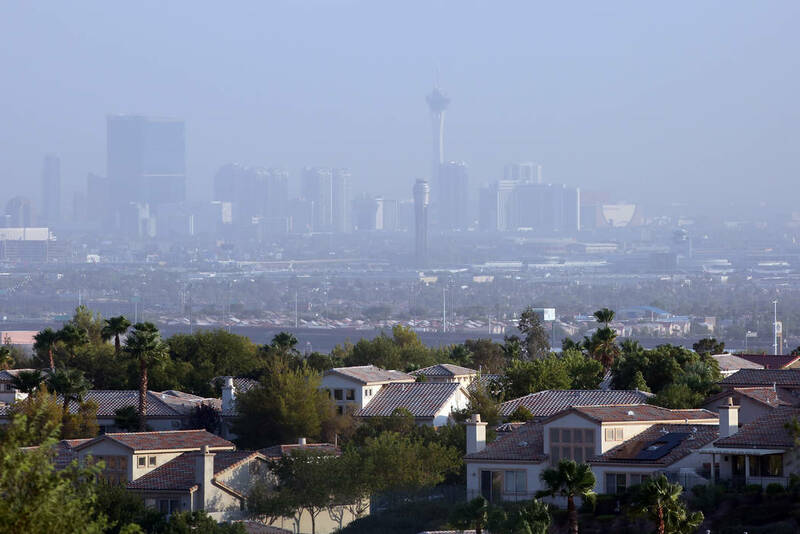 Clark County’s Department of Air Quality has reported moderate levels of smoke and soot in the valley air, as well as moderate levels of ozone. The county has issued an air quality advisory through Monday. A dust storm warning issued for parts of southeastern Clark County and Western Arizona is expected to last through 9:30 p.m. The weather service said to expect gusts between 35 and 45 mph and limited visibility. Friday should start out with a morning low near 85 degrees before hitting a high of 105, the weather service said. Temperatures will dip a bit more over the weekend, with forecast highs near 103 on Saturday and Sunday. The valley will start warming up again next week, the weather service said, with highs of 105 forecast for Monday and Tuesday. Expect partly cloudy skies Friday and Saturday, followed by sunny skies Sunday through Tuesday.